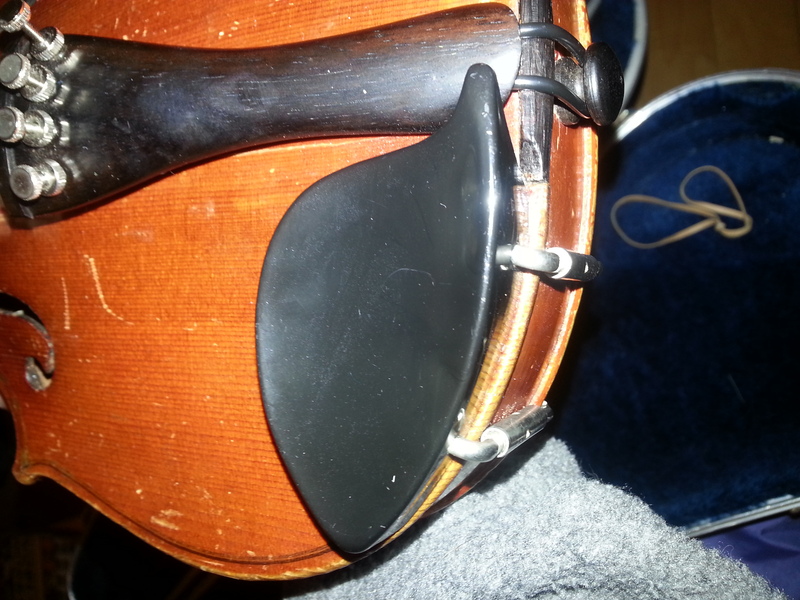 Need a new chinrest for 1/2 size violin -- tips? 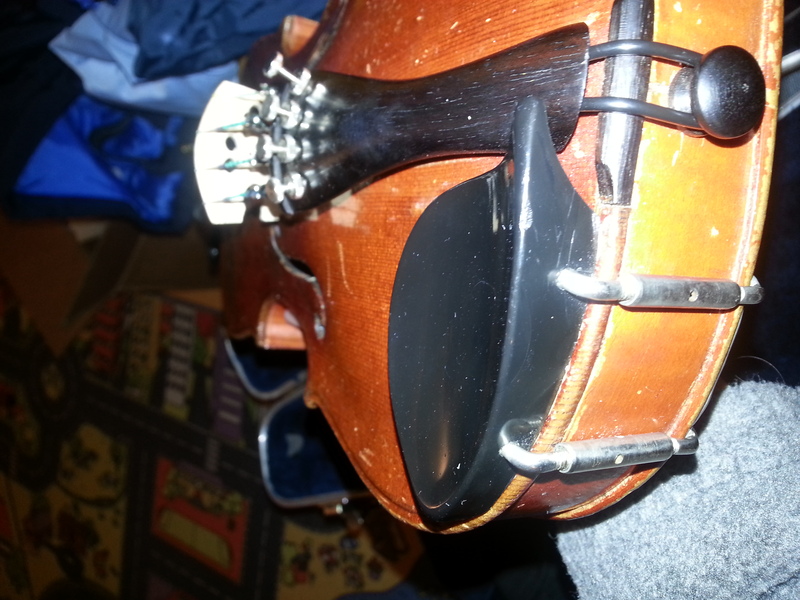 My daughter says the chin rest on her 1/2 size violin feels like it's cutting into her. And that bottom edge does come up rather sharply compared to some that I've looked at online. I've looked at some of the Fiddlerman offerings, although they seem to be more full size, and I've looked just a bit at Shar music as well. So...any pointers on how to approach this? 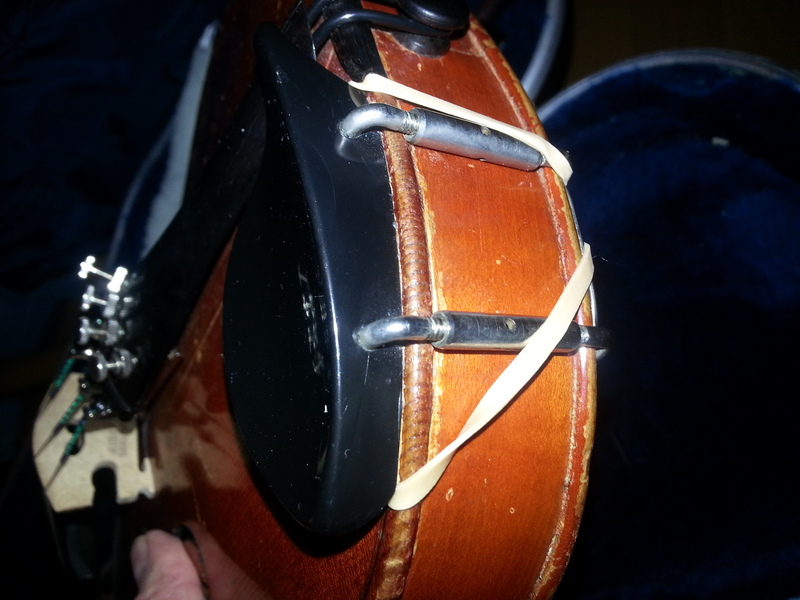 Oh also, she currently doesn't have a shoulder rest that she likes, so right now she has a little rectangle of packing foam strapped on with a rubberband. That might end up being just fine once we get the shoulder rest addressed. Interesting! I watched the video clip and read the description. How does the velcro work? Are you attaching a base velcro strip to the actual chin rest? Just wondering about sticky residue left behind if you later decide to stop using it. And what about using this on a 1/2 size violin -- would that work ok since it appears to be a one-size-fits-all?